[ Thomas Guthrie, Church of Scotland minister and philanthropist. ] Autograph Letter Signed to 'Mr Hanbury', regarding the receipt of money, and 'Derby's Bill'. 2pp., 12mo. 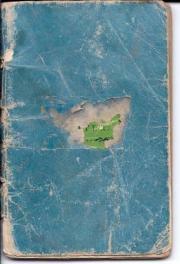 In fair condition, on aged paper, with slight loss to two words from damage at margin. The first paragraph reads: 'I know enough of siness never to put off acknowledging receipt of money - I got your kind letter this morning with the enclosure - You are more considerate than many people, for which I send you my best thanks.' The second paragraph relates to 'Derby's Bill', which Hanbury has 'recycled', and concerning which Guthrie asks 'What next & next?' Guthrie's entry in the Oxford DNB describes him as 'one of the greatest of Free Church leaders'. [ Robert Hitch, Dean of York ] Autograph Letter Signed "Ro: Hitch" to Sir Thomas Wentworth ("at Bretton"). One page, 8vo, bifolium (second leaf blank). "I am sorry the ill-heald wound breaks out again. If Mr Walbank had submitted to the Court, & had made an acknowledgment by order or injunction of the court his adversaryes had not have renewed their old articles again: [ ... ] wthin the statute of limitation of actions. [ Joseph Barber Lightfoot, Bishop of Durham. ] Autograph Signature ('J B Lightfoot') on part of letter. to every one but the Academic Deanery should have failed to a man of Academic & literary distinction | I am, dear Dr.
, | Very truly yrs | J B Lightfoot | Trin; Coll. | Nov. 18th'. The text is engraved in copperplate on one side of a piece of card, with plan on reverse of the the premises at 18 Paternoster Square, with Newgate Street, Warwick Lane, Rose Street and Paternoster Row also shown. In fair condition, on lightly-aged paper, with unobtrusive vertical crease. A nice piece of nineteenth-century London book trade ephemera. The text reads: 'Publication Committee | Presbyterian Church of England, | 18 Paternoster Square. [Cardinal Nicholas Wiseman.] Manuscript cross-interrogatories for Achille Fould, French Minister of Finance, witness in the cause Roux versus Wiseman, with ALS from Wiseman's solicitor James Vincent Harding to commissioner Monsignor Francis Searle. Cross-interrogatories dated 16 March 1857 by the plaintiff's attorney E. L. Levy of 61 Burton Crescent, London. 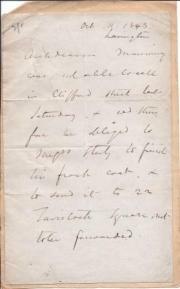 Harding's letter to Searle from 24 Lincoln's Inn Fields [London], 17 March 1857. Cross-interrogatories: 5pp., 4to. On two bifoliums of grey paper, stitched one inside the other. In very good condition, lightly-aged. [Nicholas Maurus Hodgson.] 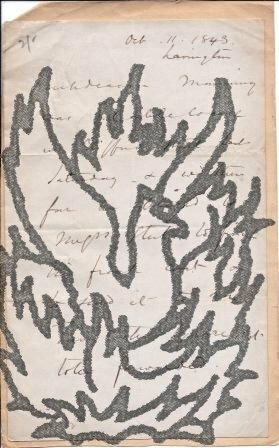 Autograph Letter Signed ('Maurus Hodgson, Sec. Cap. Gen.'), on behalf of the 'First English Chapter of the English Benedictine Congregation', to Cardinal Nicholas Wiseman, expressing praise and support. 'J. M. B. | St Laurence's, Ampleforth'. 21 July 1854. 2pp., 4to. Bifolium. Very good, on lightly-aged paper. Docketted by Wiseman on reverse of second leaf: 'Bened[icti]ne Chapter | 1854'. [George Butler, Dean of Peterborough.] Autograph Letter Signed to the tea merchant Richard Twining the younger, soliciting his vote [in an Orphan Asylum Election List] on behalf of a child who is 'a subject of great distress'. The Deanery, Peterborough. 24 September 1850. 1p., 12mo. In fair condition, on aged paper. The letter reads: 'At the earnest entreaty of a valued friend, I take the liberty of soliciting your vote & interest, if not pre-engaged, on behalf of a Child, whose card is enclosed. It seems, as every such case must needs be, a subject of great distress.' Institutions such as the London Orphan Asylum submitted regular printed 'Polling-lists' of deserving children, for notables such as the Duke of Wellington to vote on for the 'election'. Fourteen Diaries 1904-1918 (Letts Rough Diary or Letts Clerical Diary), week per two pages. Rev. Prebendary Harry Freeman of Pitminster Vicarage, Taunton, son-in-law of the Bishop of Truro, James Elstone. Good condition. Paper Boards. A difficult hand. Diary entries variable in length, many full, some days blank. 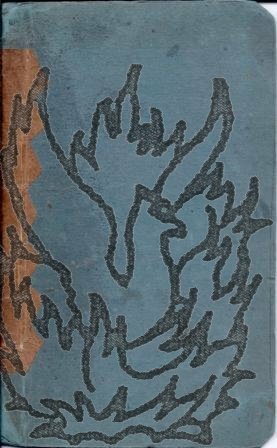 The Diaries chronicle his life at the Church of Holy Trinity (in.c football for Coventry City and Stoke), and the years (some First World War) serving his father-in-law, the Bishop of Truro. Subjects:  services; journeys; preaching; litany; helping parishioner write letter; sermons; finances; schools; dinners; meetings; asked to play for Coventry City (1904", 'to raise tone of the team'); travels - mainly local (walking distance to Stoke, Rugby etc - initially c.
Bennett's note dated from Rotherham, 26 November 1829. Gray's poem dated from Nailsworth. 19 January 1828. On a 4to leaf removed from an album, with Bennett's piece on one side of the leaf, and Gray's on the other. In fair condition, on aged and worn paper, with a short closed tear to the fore-edge. Bennett's note reads: 'Dearest Brethren, ye know how that a good while ago, God made desire among us, that the Gentiles, from my mouth, should hear the word of the Gospel & believe. And God, who knoweth the hearts, bore them witness, giving them the Holy Ghost, even as he did unto us: put no difference between us & them, purifying their hearts, by faith'. [continued] in the UNited States of America to which is appended an Extract of a Letter from Mrs Wade, of the Burman Mission. 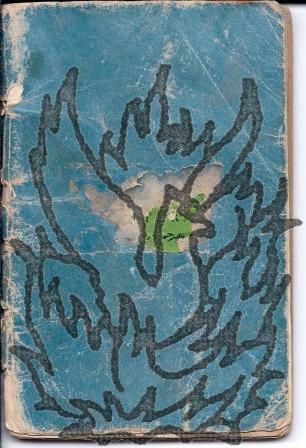 Chapbook, 32pp., 16mo, blue paper wraps, poor condition (worn, stained, partly detached), some names of former (young) owners (mainly Master George Creed) crudely written on inside cover (missing front ep?) and back ep recto. There is a note on p., implying an earlier edition, "The only abridgment in this edition is a few lines, recommending the formation of Plain Dress Societies in America." 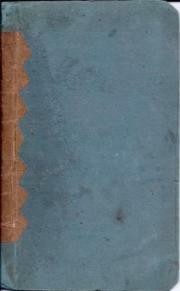 However, COPAC records only one copy Bodley, imprint Bristol 1840). 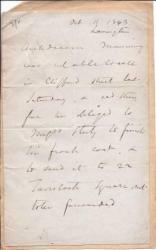 Autograph Letter in the third person from Henry Edward Manning, Archdeacon of Chichester, later Cardinal Manning, giving instruction to his tailors, Messrs John Stulz and Samuel Housley of Clifford Street, London. 12mo, 1 p. Text clear and complete. On aged and creased paper. As 'Archdeacon Manning was unable to call in Clifford street' on the previous Saturday, he would like 'Messrs Stulz to finish his frock coat, & to send it to 22 Tavistock Square, not to be forwarded.' The address was the home of Manning's brother-in-law John Lavicount Anderdon.